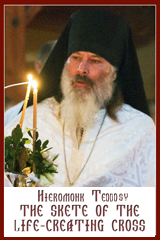 Text from “The Divine Liturgy: An Anthology for Worship”; Pg. 353 (Tone 7), Pg. 677 & Pg. 683. 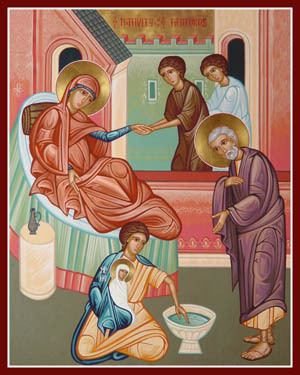 Troparion (Tone 4): Your nativity, O Mother of God,* has made joy known to all the world,* for from you dawned the Sun of Righteousness, Christ our God. * He abolished the curse* and gave the blessing;* and by making death of no effect,* He bestowed on us eternal life. 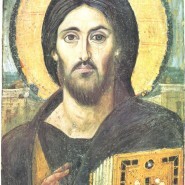 verse: Unto You I will cry, O Lord my God, lest You turn from me in silence(Ps 27:1). Epistle: (Galatians 6:11-18) (Sunday): Brethren, see what large letters I make when I am writing in my own hand! It is those who want to make a good showing in the flesh that try to compel you to be circumcised—only that they may not be persecuted for the cross of Christ. Even the circumcised do not themselves obey the law, but they want you to be circumcised so that they may boast about your flesh. May I never boast of anything except the cross of our Lord Jesus Christ, by which the world has been crucified to me, and I to the world. For neither circumcision nor uncircumcision is anything; but a new creation is everything! As for those who will follow this rule—peace be upon them, and mercy, and upon the Israel of God. From now on, let no one make trouble for me; for I carry the marks of Jesus branded on my body. May the grace of our Lord Jesus Christ be with your spirit, brothers and sisters. Amen. verse: I have exalted one chosen from among My people; with My holy oil I have annointed him (Ps 88:20-21). verse: Indeed, My hand shall sustain him, and my arm shall make him strong (Ps 88:22). Gospel: (John 3:13-17) (Sunday): And the Lord said, no one has ascended into heaven except the one who descended from heaven, the Son of Man. And just as Moses lifted up the serpent in the wilderness, so must the Son of Man be lifted up, that whoever believes in him may have eternal life. ‘For God so loved the world that he gave his only Son, so that everyone who believes in him may not perish but may have eternal life. ‘Indeed, God did not send the Son into the world to condemn the world, but in order that the world might be saved through him. Instead of “It is truly…”: O my soul, magnify the Virgin Mary born from a barren womb. Irmos (Tone 8): Virginity is alien to mothers and childbirth is foreign to virgins; yet in you, O Mother of God, both of them came together. Therefore we and all the nations of the earth without ceasing magnify you. Communion Verse: I will take the chalice of salvation;* and I will call upon the name of the Lord (Ps 115:13).